Food’s a controversial thing. Britain is a country currently obsessed by horse flesh, or so the press would have us believe. The revelation that a certain large supermarket’s beef burgers were in fact a combination of the humble cow and noble horse has been a hot topic. The general public were meant to be shocked that there was a chance we could have eaten Black Beauty, but public response as shown on the BBCs One Show (not an accurate poll, I do understand) demonstrates that eating horse was not the problem. No, it was that the food was wrongly labelled. Accum was particularly worried about the use of Alum in bread. The compound was used by unscrupulous bakers to make bread whiter. Apparently if London loaves were not a brilliant white they were unsaleable due to the ‘caprice’ of the London consumer; picky shoppers areapparently not just a product of the twenty-first century. Hassall took evidence from numerous witnesses, including a Mr Richardson, who was officer for the board of health in Newton Heath, Manchester, just down the road from where I am writing this. Richardson explained that ‘We have in Newton five knackers yards’; he went on to state that the resultant horse flesh had been a ‘source of great profit to them, because they have the means of selling the best portions of the horseflesh to mix with the potted meat.’ Not quite burgers I know but it seems using horseflesh to ‘beef’ up meat is nothing new. According to Richardson the best bits of the horse were the tongue and the hind quarters which were mixed with pigs’ heads for sausages. Nor was horseflesh just used because it was cheap; its use in sausages apparently meant that bangers could stay in the shop window for longer. 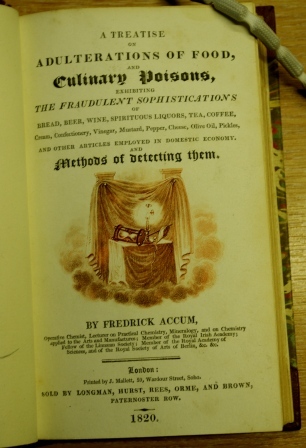 The problems of food adulteration continued into the twentieth century. Papers in the Labour History archive of the People’s History Museum show that during WWI especially adulteration continued to be a problem. Food was in short supply and expensive; for those who sought profit at any expense it made sense to bulk out material with cheaper substance. 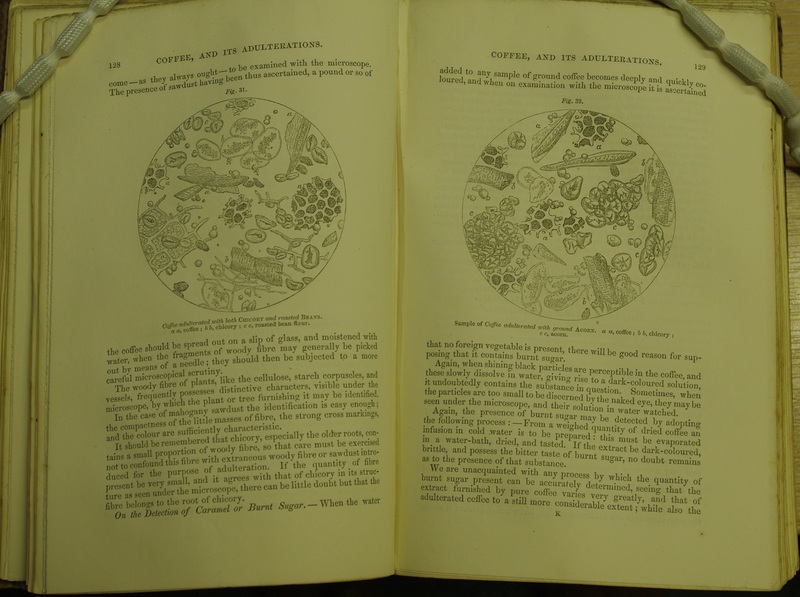 This entry was posted in Food History and tagged burger, chemistry, food adulteration, history of science, horse, supermarket. Bookmark the permalink.